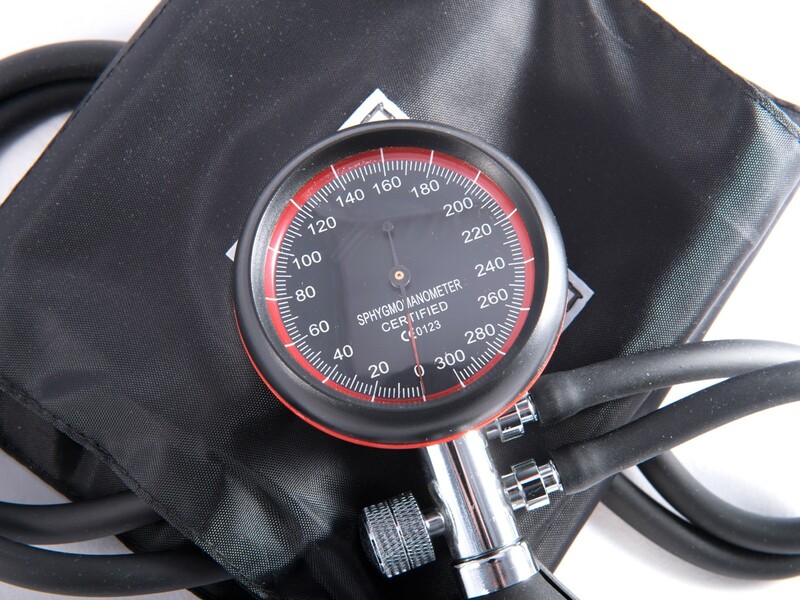 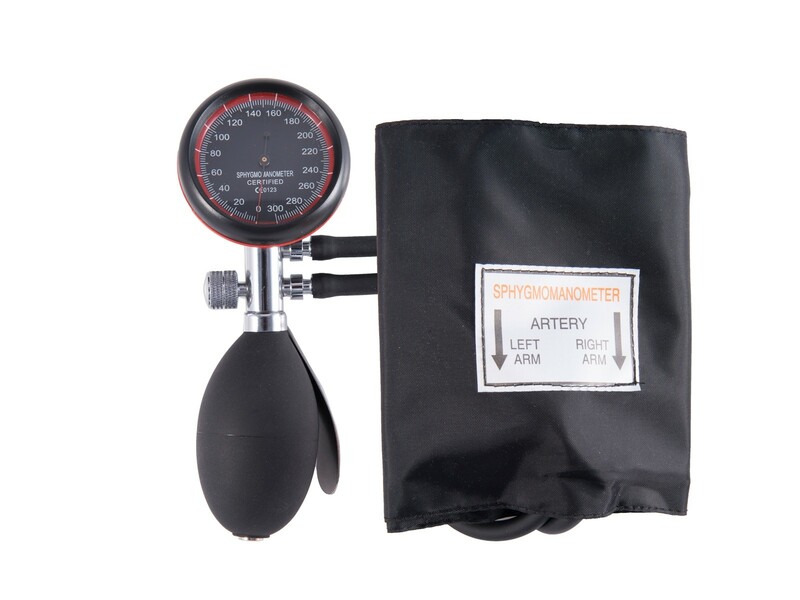 This convenient and versatile sphygmomanometer can be operated single-handed. 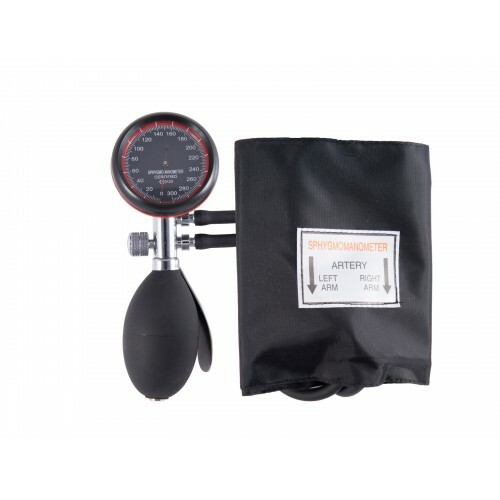 The manometer gauge is adaptable to most traditional double tube cuffs. 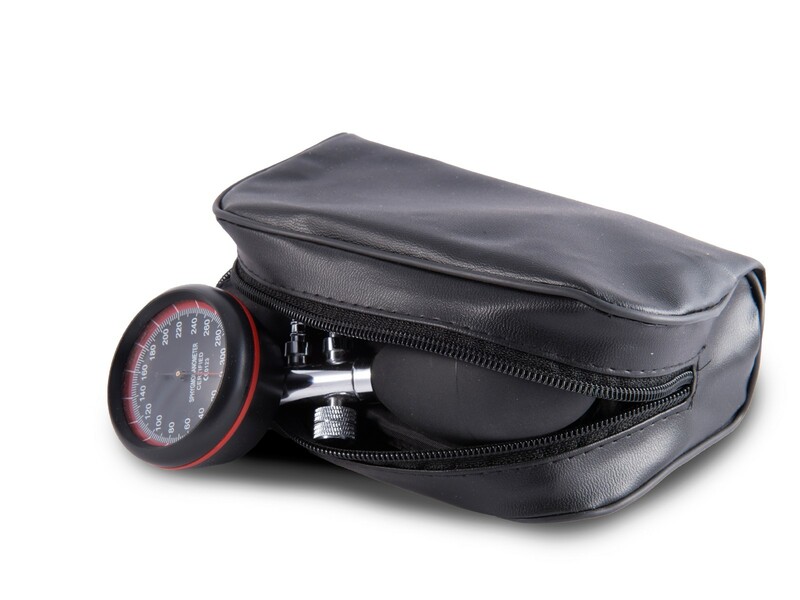 A black carry case is included.